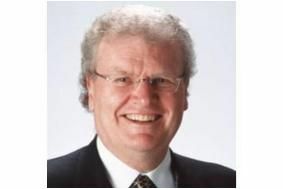 JAPAN NEWS: Sony restructuring makes Sir Howard Stringer president, promises more innovative products | What Hi-Fi? It also sees Briton Sir Howard Stringer (pictured right) assuming the role of President of Sony Corporration, in addition to his current position as Chairman and CEO. Announcing the changes, Stringer said that "Consumers want products that are networked, multi-functional and service-enhanced utilising open technologies, and user experiences that are rich, shared and, increasingly, green. “This reorganisation is designed to transform Sony into a more innovative, integrated and agile global company with its next generation of leadership firmly in place. "The changes we're announcing today will accelerate the transformation of the Company that began four years ago. The Networked Products & Services Group will include Sony Computer Entertainment, responsible for the PS3 and PSP, the Vaio computers division, new mobile products including Walkman, and Sony Media Software and Services, which develops common platforms across product groups. The New Consumer Products Group will include the current TV, digital imaging, home audio and video businesses. In addition, the company will be creating two cross-company teams to ensure integration of products and systems. The Common Software and Technology team will develop integrated technology to ensure efficiency, consistency and interoperability, while a manufacturing, procurement and logistics team will work on eliminating duplication and redundancy in manufacturing, and the outsourcing of design and production. Stringer says the company is now planning to make cost savings of around Y300bn (£2bn), an increase on the previously-announced target of about Y250bn (£1.8bn). This will also involve the closure of some plants, and the shedding of some 16,000 jobs. Current company president Ryoji Chubachi will step down on April 1, assuming the position of vice chairman.